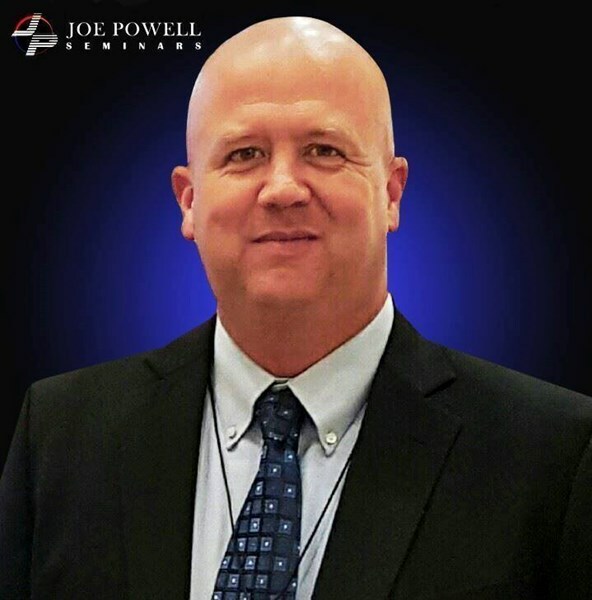 Joe Powell has served in almost every division of law enforcement from the mid 90's to present. (Defying the obstacles that assured his dream of serving would be next to impossible) His career includes numerous years as Chief of Police and one term as an elected County Sheriff in the great State of Texas. He is recognized as a Senior-level Chief of Police from beautiful Northwest Arkansas. He also served as Chief of Police in Southwest Missouri, and the Panhandle of Texas! He possesses three degrees; one in Criminal Justice, a Bachelor in Criminal justice Management and Administration, and a Master of Public Administration. He is a graduate of the Law Enforcement Management Institute of Texas where he studied at Sam Houston State University, Texas Womans' University, and Texas A & M. He's a trilogy recipient of FBI's Law Enforcement Executive Development Association, and also maintains a Master Peace Officer Certification in the State of Texas and Senior in the State of Arkansas. 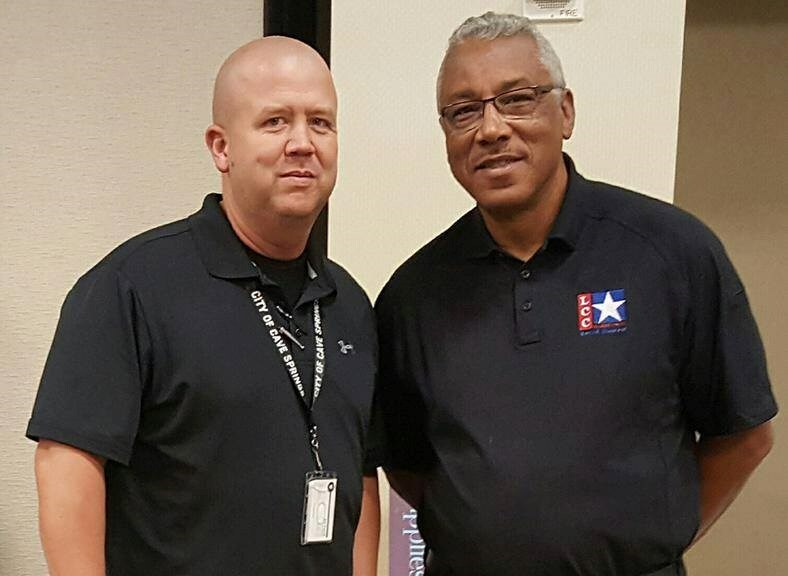 He is a certified law enforcement instructor for both states, and a licensed Concealed Carry Instructor for the State of Texas. He holds in excess of 100 awards, certifications, and commendations. He has spoken at numerous venues where people have left inspired, lifted up, encouraged, less-stressed, motivated, and most of all, with a smile on their face, some with sore cheek bones from laughter at his true-life stories he's collected over his years on the street. 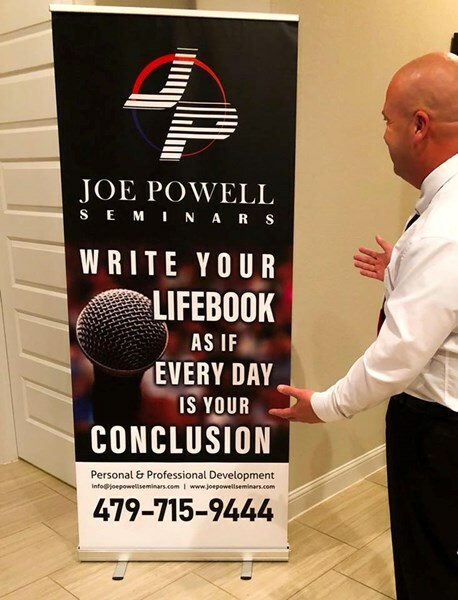 Now, Joe Powell brings his experiences, knowledge, and wit to you and your group/s, employee's, clients, clubs, conferences, graduations, etc. If your organization seeks a speaker who is beyond the "average," you have found him. Joe Powell combines education, experience, real-life stories, his own special charm, and often times, a song or two, for your audience. No matter the topic, (that he will specifically suit to your needs, by the way,) he will leave everyone in the room smiling and asking to have him back again! From a young age, his dream was to become a Police Officer and after 20+ years behind the badge, achieving the level of Chief of Police and then winning his election as a Texas Sheriff, he set his goals on public speaking to share his knowledge, education, leadership / ethics skills, stress management skills, stories, and blessings with others. He will tell you why medical professionals said neither of his life goals would ever be possible. Allow him to share his remarkable story while he speaks, teaches, guides, leads, motivates, and touches the hearts and minds of everyone in the room! Check out his bio at the link above and book Joe Powell TODAY! Please note Sheriff Joe Powell will also travel to Manchaca, Del Valle, Buda, Kyle, Cedar Creek, Dale, Manor, Mc Neil, Pflugerville, Driftwood, Lockhart, Maxwell, Round Rock, Cedar Park, Elgin, Red Rock, San Marcos, Spicewood, Leander, Bastrop, Dripping Springs, Wimberley, Martindale, Coupland, Staples, Fentress, Hutto, Mc Dade, Prairie Lea, Rosanky.